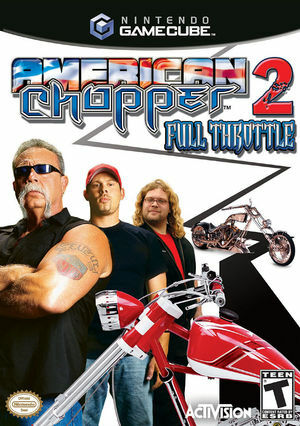 American Chopper 2: Full Throttle is a video game released in 2005. It is based on the Discovery Channel TV show American Chopper and is the sequel to the first American Chopper video game. This game required XFB Real for FMVs to show up. Mostly fixed with Hybrid XFB in 5.0-5874, but purple frames still appear between clips unless XFB to Texture Only is disabled. The Widescreen Hack does not work with this title. This Gecko code will enable 16:9 mode for races. The graph below charts the compatibility with American Chopper 2: Full Throttle since Dolphin's 2.0 release, listing revisions only where a compatibility change occurred. This page was last edited on 24 February 2018, at 17:30.